Like many of you, I have already begun mapping out my personal and professional goals for the year. One of the big ones for me this year is recertification. There are many certifying bodies for wound care specialists. Which one or more you chose to pursue will depend on your licensure and level of education, as well as your practice setting and the focus of your wound care practice. Even though many positions do not require certification for employment, certification can offer an advantage when vying for a position and can demonstrate your commitment to high-quality patient care. Not all certifications are created equal. Even the term "certification" can mean many different things. 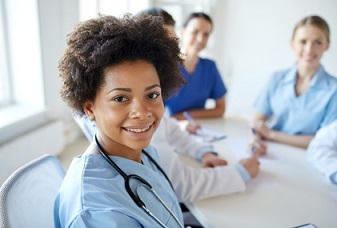 Unlike professional licensure, which is regulated by each state's boards of medicine, nursing, etc., certification is a term often used with less rigor than you might expect. This is where you need to do your homework. Ideally the certification board should be a separate organization from the professional organization and the education provider—this helps ensure that the credentialing process is a separate entity. Is the certification board endorsed by a nationally recognized credentialing board such as the ANCC—the American Nurses Credentialing Center? What are the criteria for sitting for the exam: Are there minimum specialty education or course completion requirements? Is there a clinical component required as a prerequisite for eligibility to sit for the exam? What are the requirements for recertification: Are continuing education and reexamination required? Certification and recertification can be costly, so you want to ensure your money is well spent. The importance of certification to your wound care practice is, in a word, "priceless." Want to learn more about how to become certified in wound care? Click here for a free guide. As a former Program Director for the R.B. Turnbull, Jr. School of WOC Nursing, full-scope certification was required by the Wound, Ostomy and Continence Nursing Certification Board (WOCNCB®) Accreditation Board (Accreditation Board for Specialty Nursing Certification). However, even before holding that position at the Cleveland Clinic, I elected to be board certified when I was first eligible to sit for the exams. Even though I have since left that position and am semiretired, I have dutifully prepared and taken the exams every 5 years since 1983 to demonstrate my knowledge base and provide tangible proof of my professional commitment to my chosen specialty nursing practice. I could elect to complete the Professional Growth Portfolio offered by the WOCNCB® for nurses recertifying. I choose to take the exams because I am often asked to teach and coach nurses taking the tests. I do not have "inside information" about the exams, but sitting for the tests helps me prepare others for what to expect and keeps me on my toes!